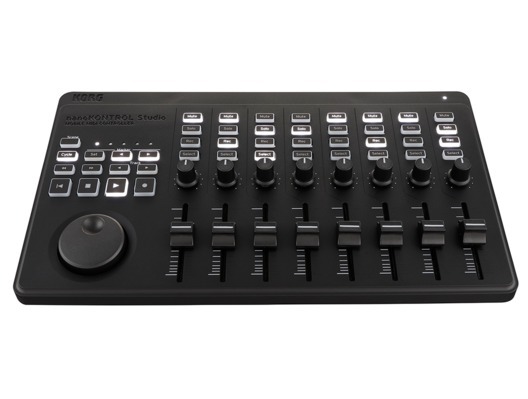 The Korg NanoKontrol Studio is a mobile MIDI controller that has 8 faders, 8 knobs and 32 switches. 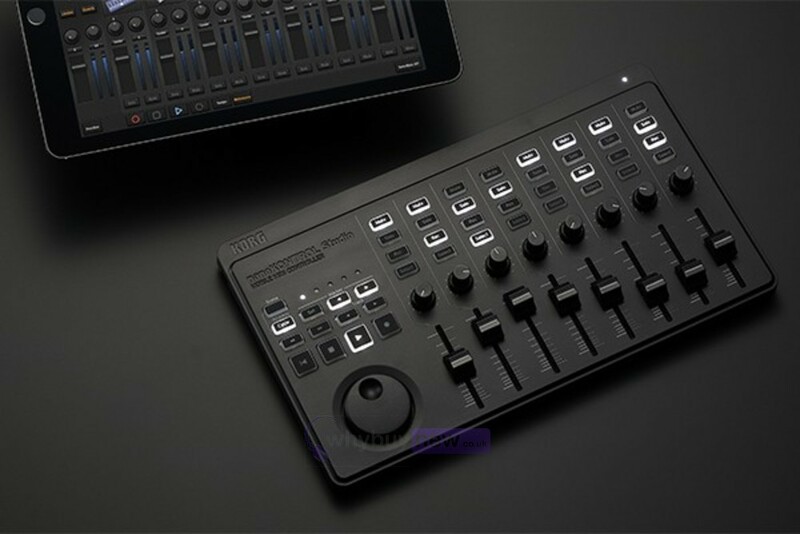 It has Macke HUI, Logic and GarageBand control built in and with bluetooth connectivity it can be used with or without wires. 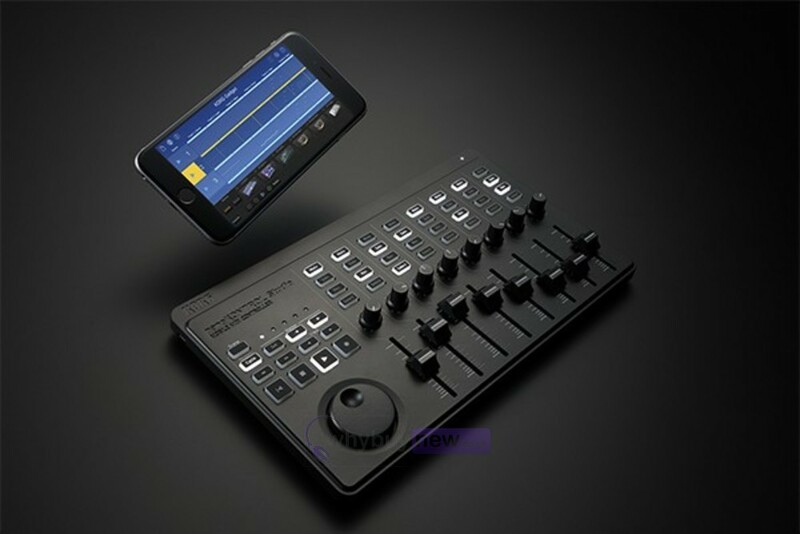 With it's compact size it can be easily taken anywhere so you can produce music no matter where you are! 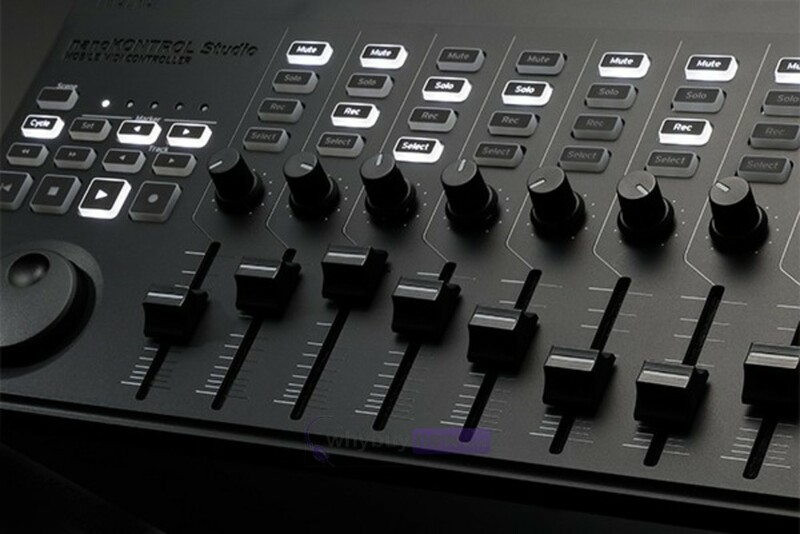 Battery Life: Approximately 10 hours (with the factory settings, when using alkaline batteries) * Battery life will vary depending on the batteries used and on the conditions of use. Dimensions (W x D x H): 278 mm x 160 mm x 33 mm / 10.94" x 6.30" x 1.30"
Models: iPhone 6s, iPhone 6s Plus, iPhone 6, iPhone 6 Plus, iPhone 5s, iPhone 5c, iPhone 5, iPhone 4S, iPad Pro, iPad Air 2, iPad Air, iPad fourth generation, iPad Third generation, iPad mini 4?iPad mini 3, iPad mini 2, iPad mini, iPod touch sixth generation, iPod touch fifth generation.